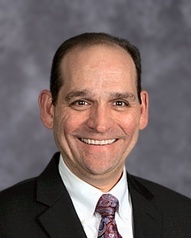 On March 15, 2016, Dr. Bart Rocco, Superintendent of Schools, in the Elizabeth Forward School District, will speak to education students, alumni and other invited guests about how he integrated concepts of STEAM education throughout his district. To learn more about the SmallLAB, the Dream Factory and other STEAM inspired concepts at Elizabeth Forward, check out the links below. Register for a free account at www.pdesas.org, and you will have access to the PD Center that provides you free online learning, all aligned to Charlotte Danielson's Framework.